The night stars over Sutherland. Photograph by Stephen Potter, SAAO. On most nights in the Karoo, the first thing strangers notice is the sheer sparkling quality of starlight. 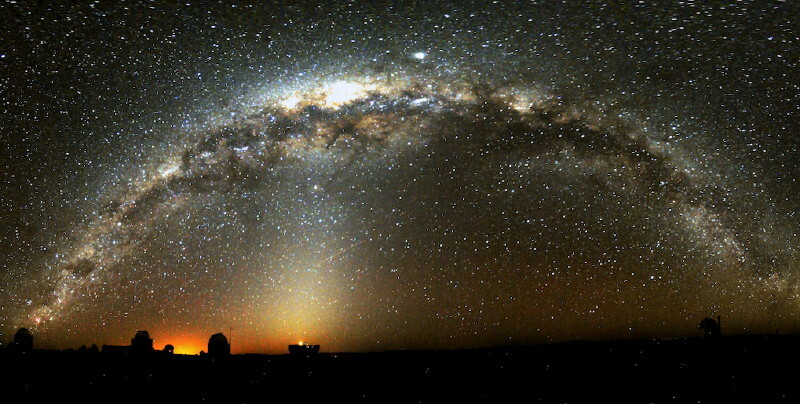 The Milky Way arches above like a spray of diamonds on velvet. This elaborately sequined sky-ceiling is a tribute to two phenomena. First is that the Karoo is fairly high (with Sutherland being near the tip-top), so the atmosphere is thinner. Second, you’re far away from the bright lights that spark up the sky in a 200-kilometre radius around a city like an ongoing apocalypse. Distant as they are from cities, Sutherland star observers still have to calibrate their equipment to cancel out the lights of Cape Town. But the main reason why Sutherland is South Africa’s star observatory is the fact that it slots neatly into a perfect dry spot between winter and summer rainfalls. There are very few clouds to mess with Sutherland’s grandstand view of space. The Southern African Large Telescope (SALT) is the jewel in the crown of several observatories outside Sutherland. Scientists arrive on top of this atmospheric hill just before dusk to observe stars. They have supper for breakfast and midnight snacks for lunch. They talk about black holes, red giants, white dwarves, quasars and pulsars and expect you to understand them. Through SALT, scientists can see deep into space and time, back to the earliest light, 13.5 billion years ago, when the first galaxies were still forming. With such a view – enjoyed in silence – you just have to love this jewel box of a Universe. If you want to visit the observatory, it’s essential that you book in advance. There are day tours and a special night tour to various dedicated ‘visitor telescopes’. 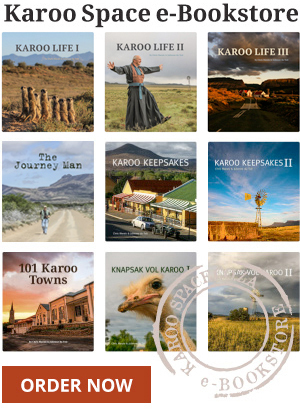 Sutherland village itself is a dreamy little Karoo village that is especially atmospheric on snowy winter weekends. 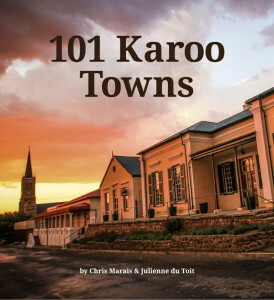 Find our new e-Book, 101 Karoo Towns HERE.